Advocatus Atheist: Beyond an Absence of Faith: The Reviews come flooding in! 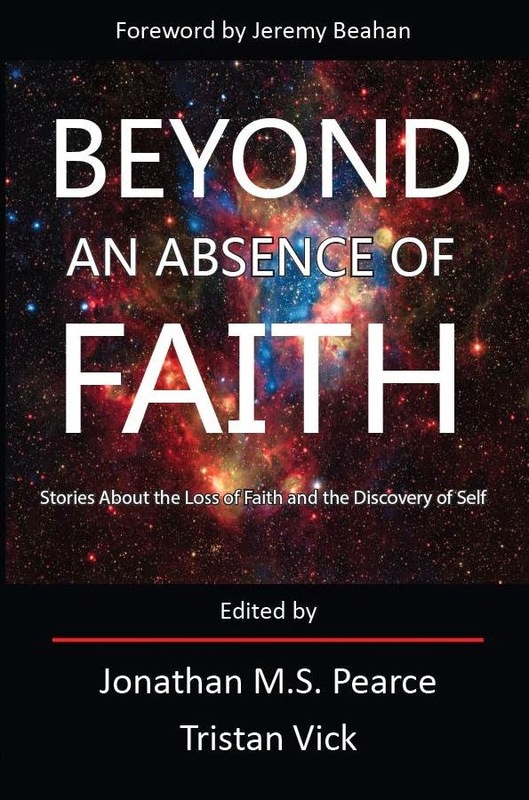 Beyond an Absence of Faith: The Reviews come flooding in! It's only been out for a couple of days (about a week for the eBook) and we are already getting some very flattering praise for the book. So another thing to praise about the book is its polyphony. Each of these 16 individuals are a distinctive voice, and none of them can be overlooked. Reading all of them you really do have a much deeper understanding of atheism, of people struggling with atheism, of people. Also, I want to commend the editors for including ex-Muslim voices. These voices are authentic and cover all aspects. I’m very pleased with representation of ex-Muslims in this book. I don’t want to get to the specifics, because I’d like you to read the book for yourself. But I’ll say that my two most favorites were “Saleha M.” and “Alicia Norman”. Or these two moved me the most. If I could I’d adapt them into a film. About the book, Kaveh adds, "It also happens to be my number one favorite atheist book that I have ever read." Wow! I am humbled by such a statement. Truly. Thank you, Kaveh. Pearce and Vick have brought together a diverse group of voices with one thing in common - they have moved beyond being "former believers" into being active participants in humanity. Each of the stories shared is unique, but former believers will find something they can identify with in every one. From the pain of separation from friends and family, to the joy of being liberated from a sexist mindset, to the harsh reality of having to find a new career in the middle of your life because you have embraced reason, these personal stories help to reinforce for the non-believer that you are not alone in your journey. I thank the good doctor for all his praise and support. I will update you all with more reviews as they roll in. All I can say is, for everyone willing to purchase and review the book, you have my eternal gratitude. The Skeptic Times just left a wild review on Amazon! You have to read it to believe it. As you may know, we made this book with the thought in mind of helping people get through trying times, that awful nowhere place between faith and the void of nothingness that opens up before you when the walks of faith crumble all around. It can be a scary time, but this book can not act as stepping stone to help aid in taking one's first strides beyond an absence of faith.